When we moved into this house this was the state of the front of the house. 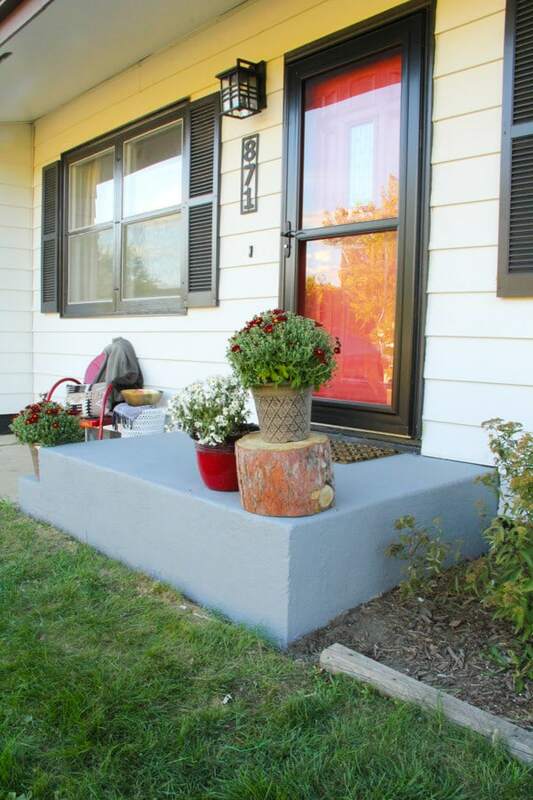 The front stoop was small, but we knew we would need to do an affordable porch makeover. We had made a lot of progress, but we still had this awful ugly carpet staring us in the eye. 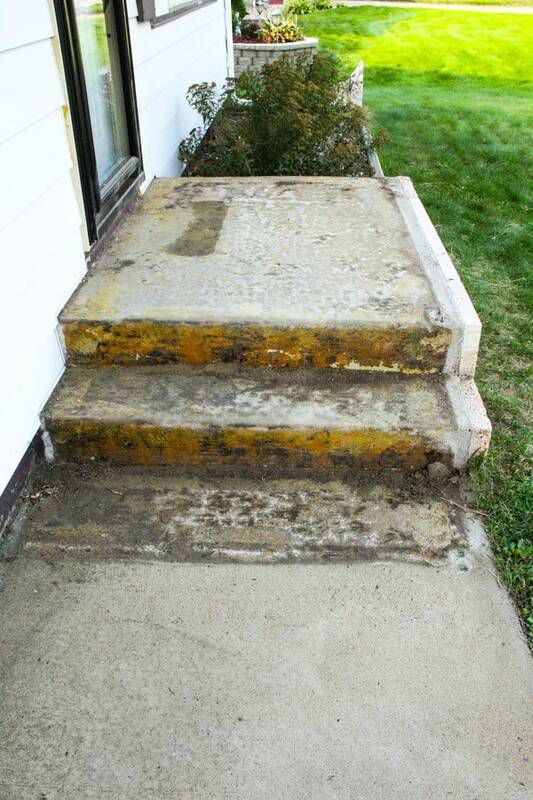 So we tore off the carpet leaving us with even worse looking steps! Next we used Degreaser & Cleaner to prep the surface. 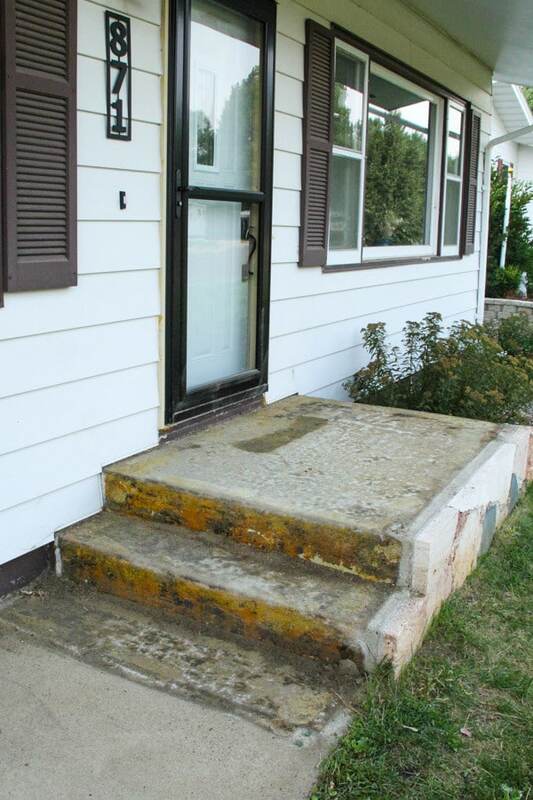 We also had the rocks on the front edge of the step, dating the entire house. 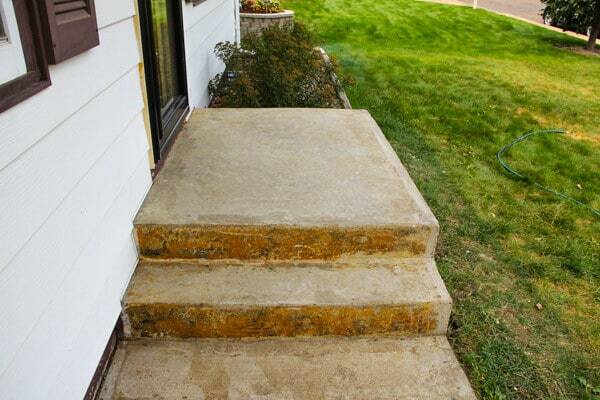 So I chipped away all of the rock, and scraped off all of the residue, still leaving the stairs looking pretty rough. 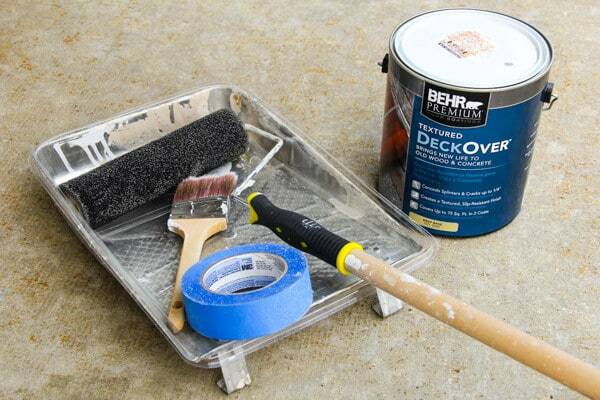 That’s when BEHR Premium DeckOver came to my rescue. 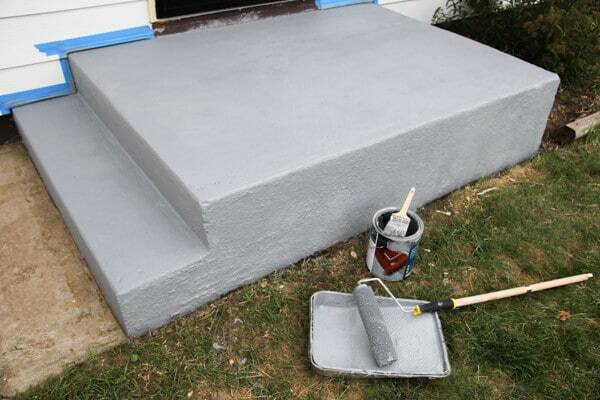 I purchased a gallon of it in “Slate Gray” hoping to revive my sad steps. 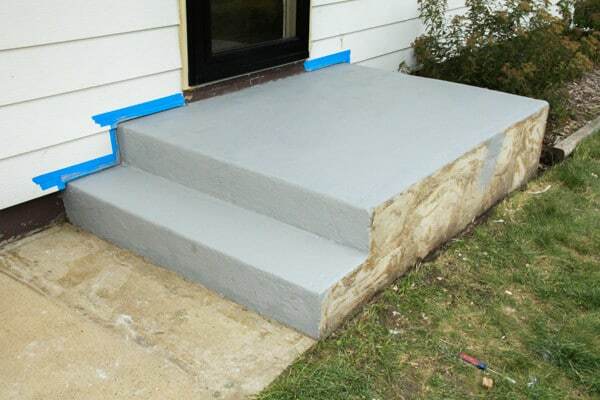 I started out by taping off the house and edging the stairs with a paintbrush. 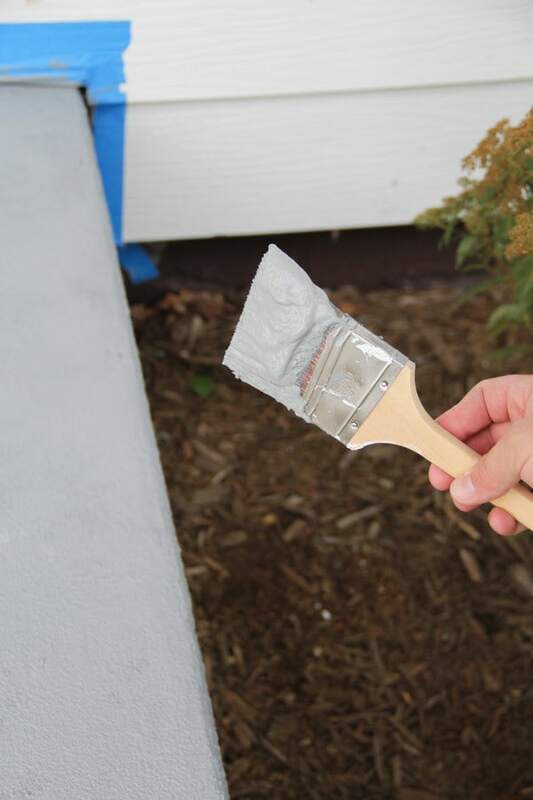 The DeckOver coating dries four times thicker than typical stains, which helped cover all the little imperfections in our concrete really nicely. 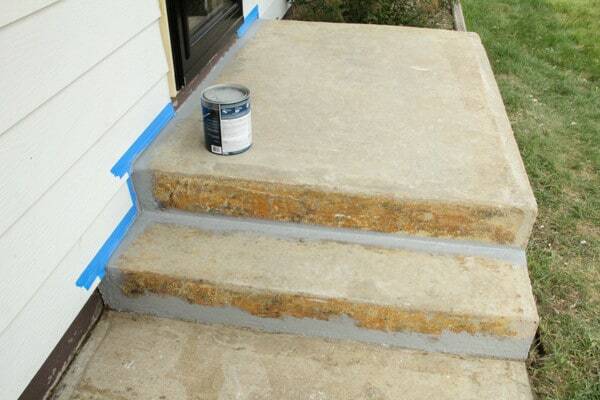 Then I used a roller to apply the DeckOver Coating to the rest of the steps. 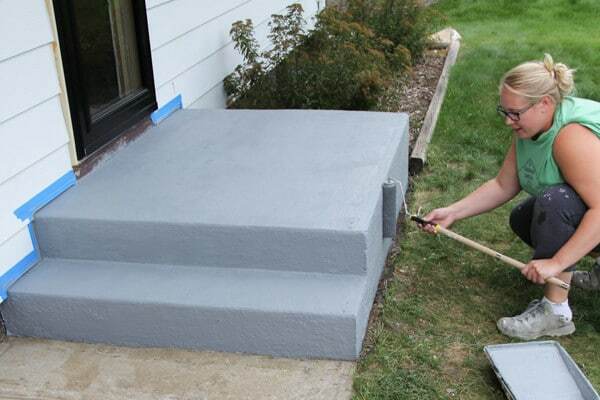 One gallon ended up being the perfect amount for a porch our size. 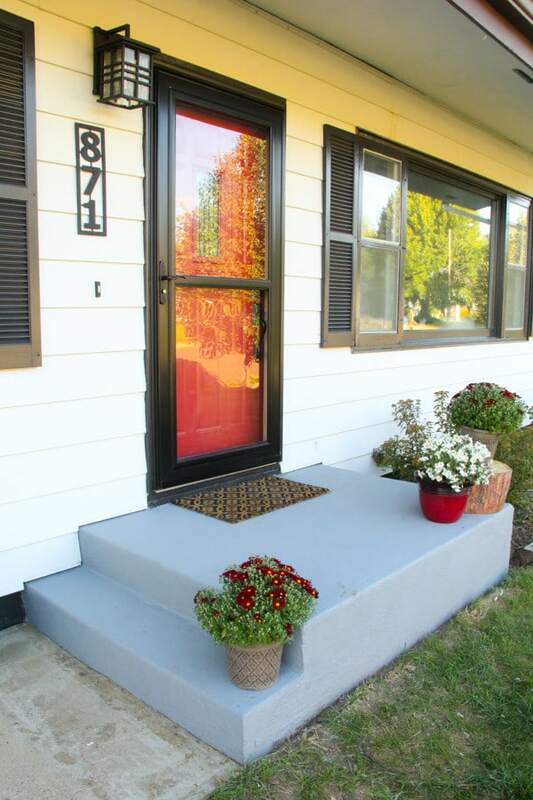 Along with giving the concrete a facelift, I also decided to give the door and shutters a fresh coat of paint! I also added some mums and a bright red chair to freshen things up. 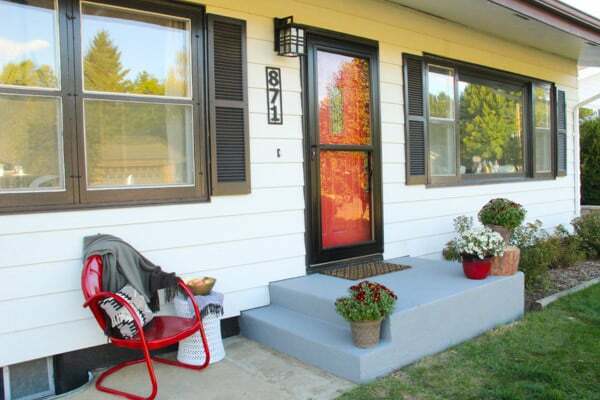 Now the porch is an inviting little stoop, that can highlight holiday decor for every season! 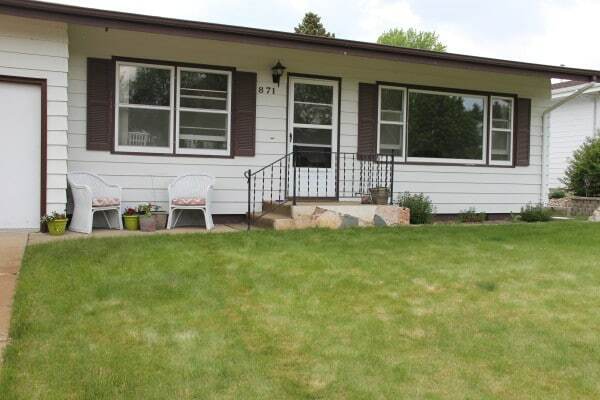 It’s amazing what a transformation was made by simply removing the carpet and coating it with paint! Did the cement have any cracks? 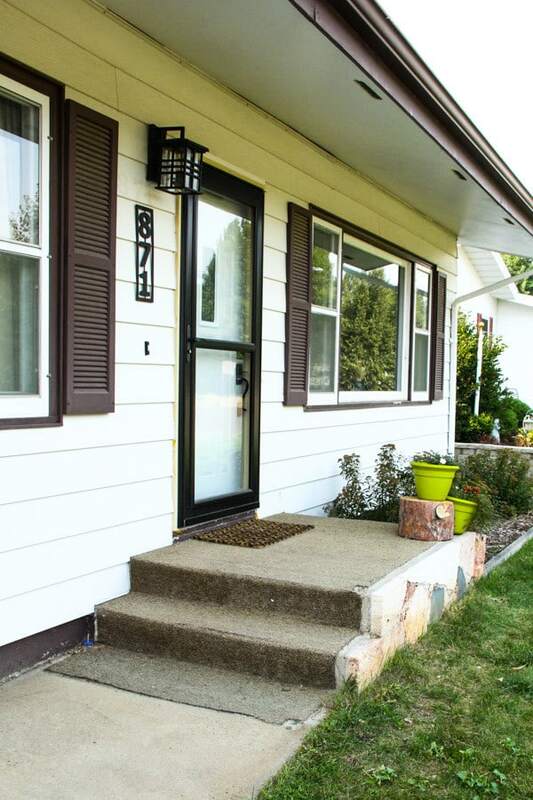 I want to redo our front porch but there are cracks? 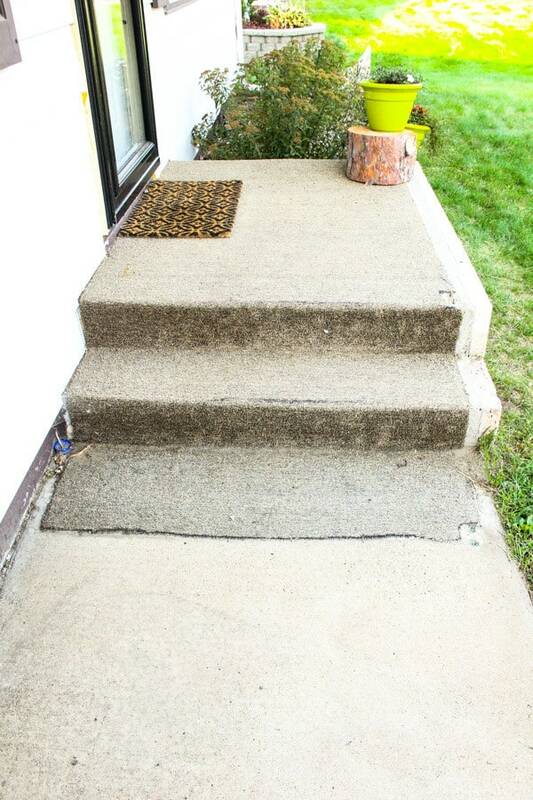 Any suggestions if there weren’t any cracks on your porch. No ours did not have any cracks. I think I’d use cement patch first.